Swedish Air Force Douglas C-47. This is a repaint of Manfred Jahn's Douglas C47 in service from Swedish Flygvapnet. Until 1975 this aircraft was in service from German Airforce, called 14+06. 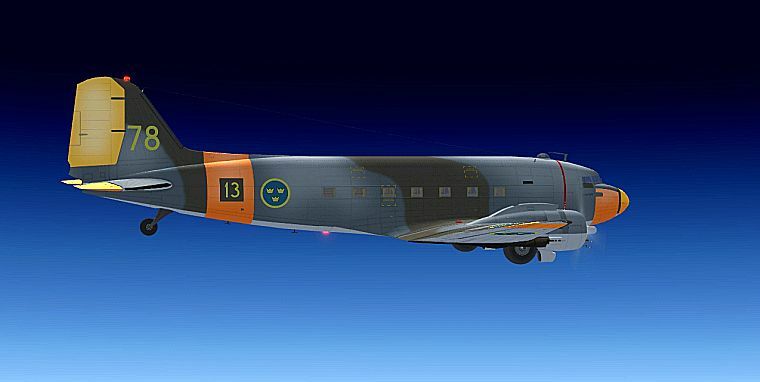 Then it was sold to Swedish Flygvapnet. 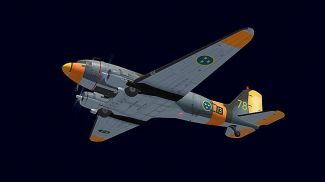 Repaint only, C-47 Skytrain Exterior Base Pack 1.0 required (C47BASEPACK.ZIP), optionally also the interior model tweak (C47_INTERIOR.ZIP). 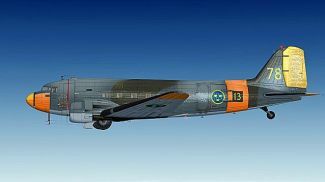 This is a repaint of Manfred Jahn's Douglas C-47. 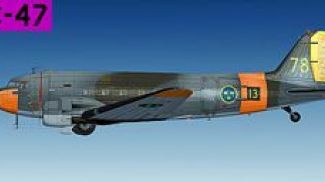 Until 1975 this aircraft was in service from German Airforce, called 14+06. Then it was sold to Swedish Flygvapnet. 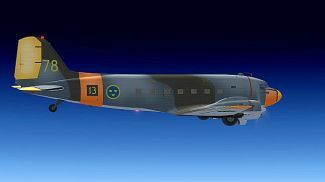 The archive douglas_c-74_sweden-78.zip has 20 files and directories contained within it.